The cider revolution has hit the Inland Northwest in full force, and Spokane's Liberty Ciderworks is undoubtedly leading the charge. Nearly a full year after the two-man cidery opened its downtown tasting room, owners Rick Hastings and Austin Dickey have taken home their biggest accolade to date: Best in Class honors for Liberty's Stonewall cider at the 10th annual Great Lakes International Cider and Perry Competition (GLINTCAP). Held earlier this month, April 10-12, the international competition received 480 entries of cider and perry (pear cider) from around the world. Liberty's Stonewall, aged in the whiskey barrels of another Northwest booze purveyor, Dry Fly Distilling, was one of just three ciders to earn the Best in Class distinction at the event, as well as a gold medal in a category with nearly 200 other entries. "We were floored when we saw the results for Stonewall," says Hastings, Liberty's head cidermaker. "We've had great feedback from customers and our peers, but this is about as big an honor as anyone gets in the cider business. It's a big-league win for us." This isn't Liberty's first time at GLINTCAP, as the cidery has taken home multiple awards in recent years for several of its other cider varieties. In 2013, the New World cider took home a silver medal. Last year, its English Style cider nabbed a gold medal while the limited-release Jonathan single-varietal (SV) and New World both took home bronze awards. 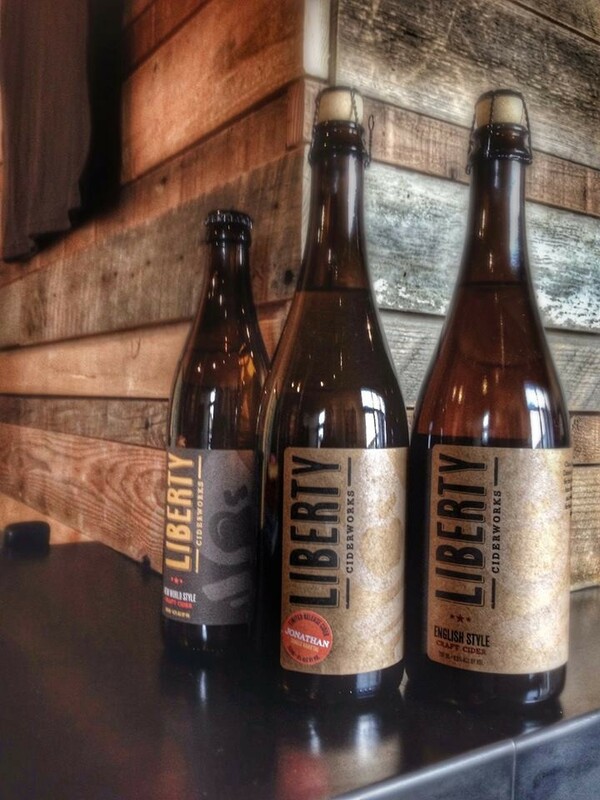 Aside from Stonewall's big win this year, four other varieties of Liberty's cider won silver medals: the Kingston Black SV, Macintosh SV, the dry-hopped Turncoat and the port-style Manchurian Crabapple cider. It's also worth mentioning here that Inlander readers already know Liberty's ciders are tops, voting the cider maker as producing the best local cider in the region for this year's Best Of readers poll. Sat., April 27, 7-10 p.m.